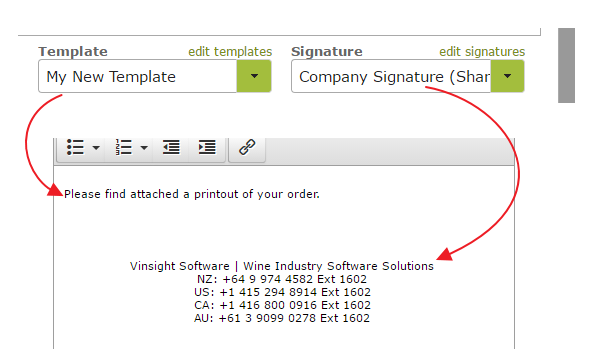 Email Templates and Signatures allow you write your most common emails ahead of time, and then use them again and again, reducing human error and saving you a lot of time. 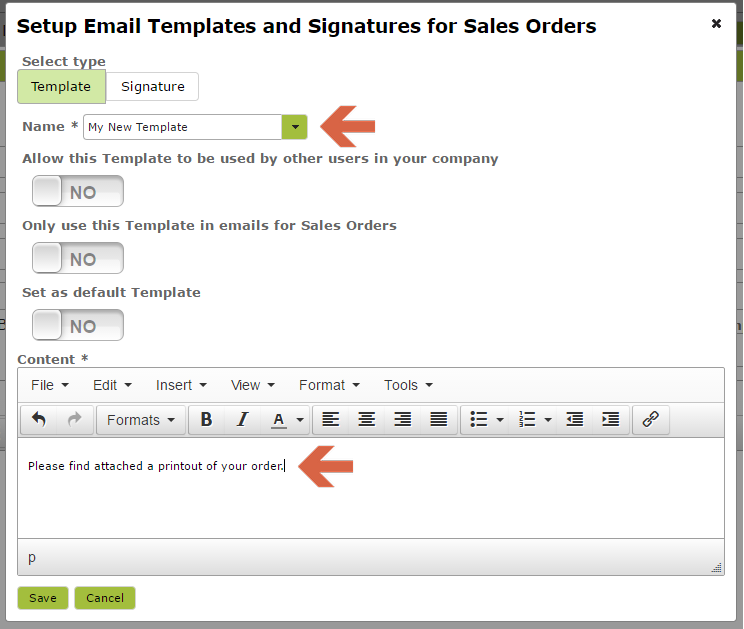 If you have chosen the option to set a template or signature as a default one, then it will be inserted for you automatically as soon as you go to write a new email. 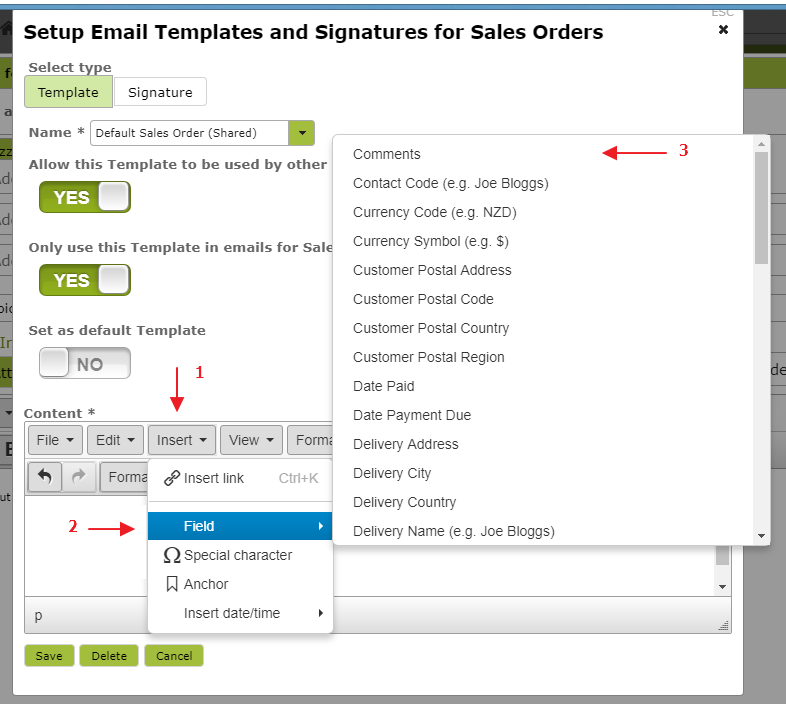 To create a template that uses customer and order specific information use the Insert > Field option and select fields from the list provided. Scroll down the list for additional field options. 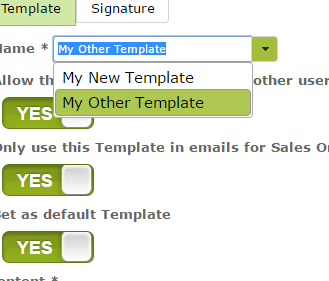 For example, using fields to create the following template . . .
then ‘Field’ from the email view.